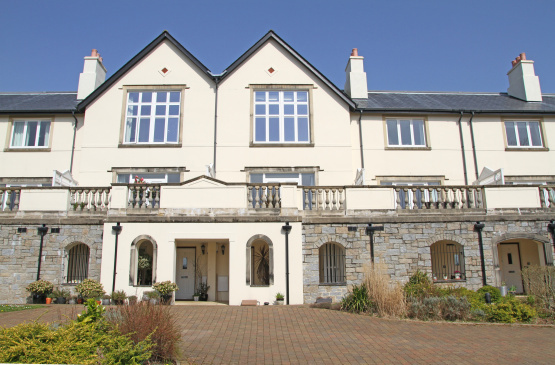 4 Didworthy Park, an immaculate four bedroom, three bathroom terraced house is situated within a walkers' wonderland, well within the Dartmoor National Park and yet only 5 minutes’ drive from South Brent. In beautiful condition the house is ready for immediate occupation and would make either a fantastic home or second home due to its acclaimed holiday location. Stunning views of this Area of Outstanding Natural Beauty can be seen from the large windows and also from the good sized terrace. The moor and the River Avon Valley can be accessed from the c.3 acres of communal land giving easy entry on to both the Two Moors Way and the Abbotts Way, two popular walking routes across Devon. 4 Didworthy Park is offered for sale with a guide price of £345,000. For further information please contact Marchand Petit’s Totnes office on 01803 847979.